Introducing Mrs Glows font with bonus. Suitable for any design needs, modern design, branding, stationery design, blog design, modern advertising design, invitation, wedding, special events, any lettering needs and more. File format: .otf, .asl for Photoshop or other vector software. 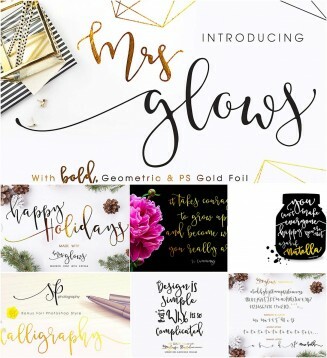 Tags: calligraphy, foil, handwritten, holiday, swashes, wedding invitation card.